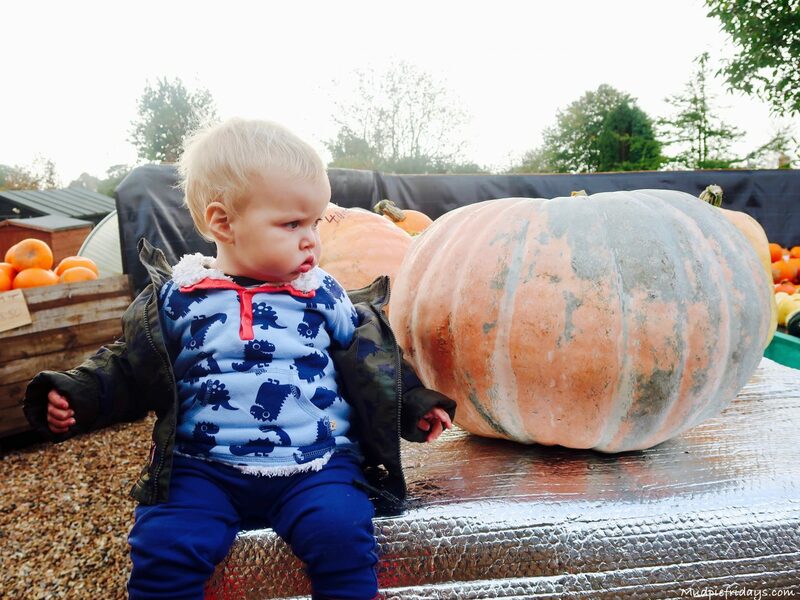 I have been very jealous of all the wonderful Pumpkin pictures I have seen on social media over the last few weeks. Its seemed to start really early this year which has made me even more determined to get some pictures of the boys at a pumpkin patch. Yet the weather has kind of put pay to that at least for the moment. 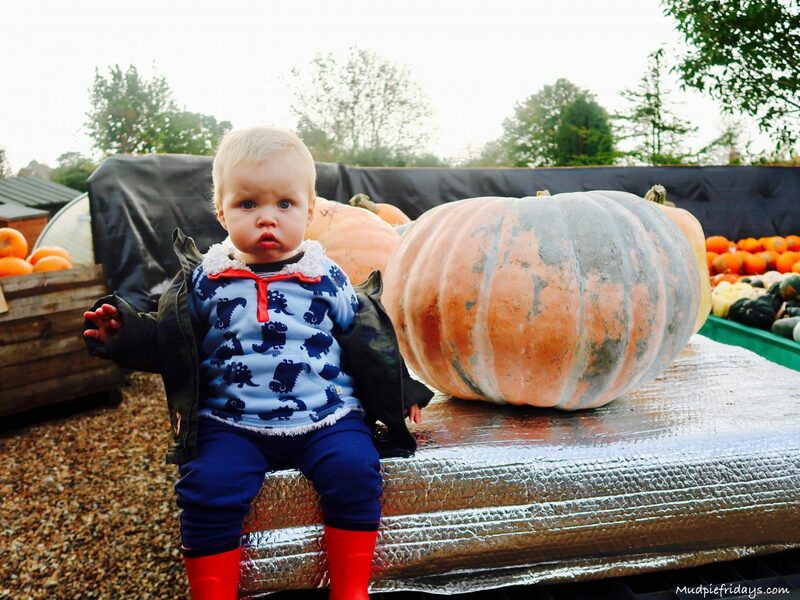 So yesterday we took the opportunity to take Kipper to Slindon Pumpkins its become a little bit of a tradition and we try to go each year. Plus its one you can do in the rain as its not in the middle of a field somewhere! The only problem was that Kipper had fallen asleep in the car and so when we got there he wasn’t overly impressed. So our usual happy go lucky toddler was less than happy. He didn’t smile once the whole time we were there. 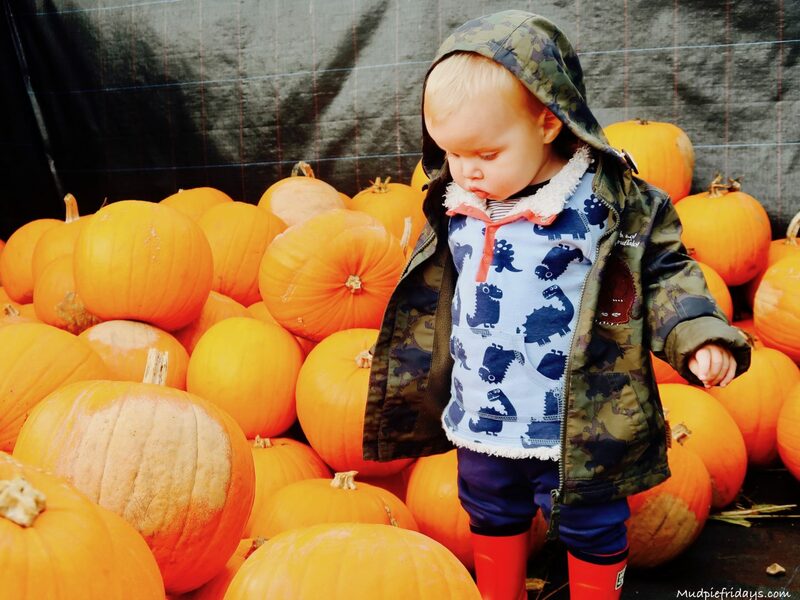 Instead he looked around the pumpkins wondering where he was. He didn’t even want to touch them. 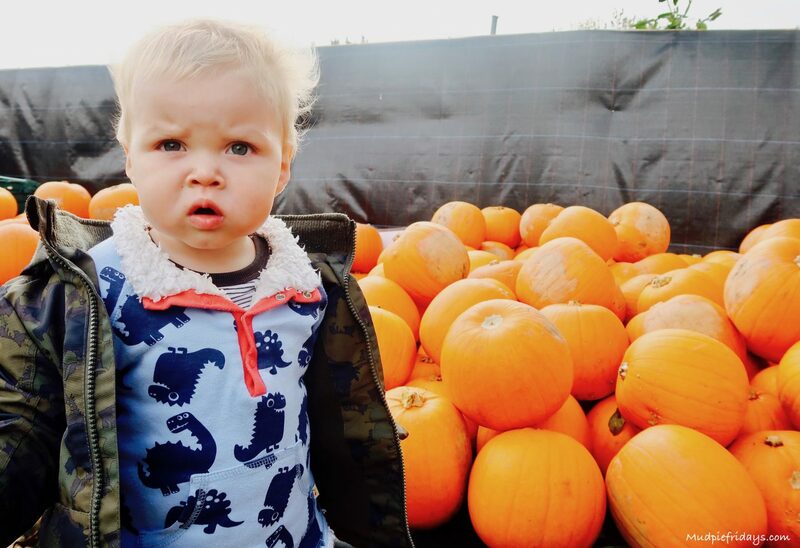 So although I did manage to capture some slightly bewildered photos of Kipper in amongst the pumpkins I think I will have to try again later on in the month to get the ones I really wanted… you know the sort with smiles!